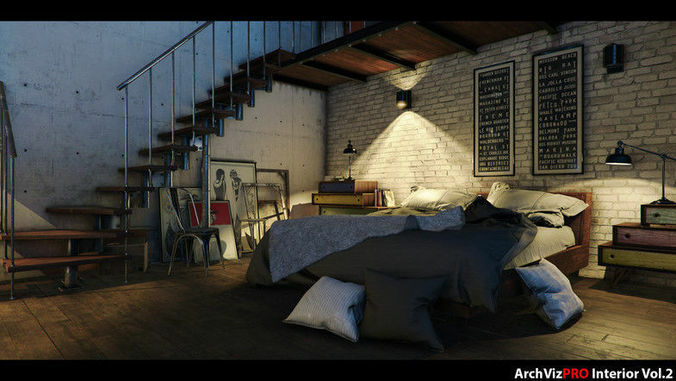 ArchVizPRO Interior Vol.2 brings to you a beautiful industrial bedroom. The scene is fully lit with Precomputed Realtime GI. Change from different light setup in a click! Switch from a morning sun to a warm sunset in realtime now is possible ! All furniture and props are highly detailed and can be reused in any other project. Warning: The scene does NOT include the FurFX Shaders. Instructions inside how to configure it. Scene works ONLY with unity. Amazing interior, considering it is realtime ready!